Eli Soul Clap has curated a superb ten track compilation entitled Italo Funk, set for release on Soul Clap Records on January 17th. The collection is a near authoritative compendium of the many styles and sounds of the modern Italian house and funk scene. From the deep, soulful tones on “My Brother” by Memoryman to the dynamic arrangement on “Machete” by Tiger & Woods, these ten tracks cover every aspect of Italian house, disco, funk and boogie in just under an hour. We had the opportunity to discuss the concept of the release, what makes Italo house “Italian,” and the perfect Italian dish to mix with the record in this interview with Bamboozle. How important is the track order when creating a compilation such as this? I think track order is very important for a compilation like this and really for any body of music (albums, mixes, playlists). I learned from DJing that the goal is to take the listener on a journey. Set the tone early, and then go through ups and downs, before finally bringing the mothership in for a gentle landing. What elements of funk and house do you think are distinctly Italian? That’s a tough one! House has a very rich legacy in Italy, from soulful to techy and everything in between, house music is an integral part of Italian culture. But for me what this compilation really connects to is the late 80’s / early 90’s deep, dreamy, melodic, electronic Italo House vibe of tracks like Soft House Company – A Little Piano. It’s that spirit of experimentation and using electronics to create atmospheres over a house beat that really grabs me about Italian producers. Was limiting the compilation to only ten tracks difficult? How many songs were you choosing from and how many just missed the cut? The compilation started out as an idea over dinner with Lowheads and DJ Rocca before a gig together in Reggio Emilia. Pascara from Lowheads pointed out that we were close with so many Italian producers and from there I started reaching out to everyone. Everyone on the comp I’ve met in person, played with, shared meals with, gone record shopping with or at least been in contact with for years via email. So it was very personal, I wasn’t just contacting producers randomly. Therefore, I believe everyone submitted special music and nothing missed the cut! A lot of these artists come from Bologna and its surrounding area. The city was designated as a Unesco Creative City of Music in 2006. What do you think gives the city such a great musical background and what is your favorite club to play in the area? It’s true, Soul Clap’s music has always resonated in the area around Bologna. One of our first gigs in Italy was at the now closed Black Box club in Ferara and we’ve played everywhere from Reggio Emilia to Rimini. I think it’s because there is a long standing tradition of disco and funky sounds in the area (the legendary disco/funk ensemble Change was actually from Bologna! ), so people already understand the music. There are also a number of artists on this comp that have been making that kind of music for years and supporting our music by playing it in the clubs and booking us for their parties. Rame from Capofortuna and Uovo aka Memoryman from the Pastaboys, Pasca from Lowheads. It’s been really amazing to spend so much time around there! If you were to choose three classic Italo tracks to include on the compilation, which would they be and why? Jiraffe – Out’a The Box. Because it’s the perfect combination of funky electronics over a house beat. 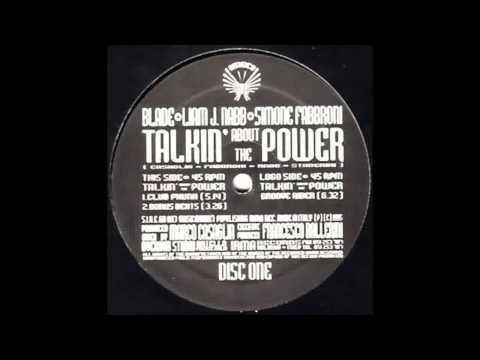 Blade + Liam J. Nabb + Simone Fabbroni – Talkin’ About The Power. Stone Cold Rave Classic! With one of the funkiest baselines you’ll ever here on a house track. Northern and Southern Italy are often noted for their cultural differences. Do you find any difference in the regions approach to funk and house? Definately. Italy is such a culturally rich and diverse country. Like with food, each region has unique flavors of music, and unique sounds specific to that region. Which Italian dish would best be paired with the compilation? Tortelli en Brodo with a splash of Lambrusco, grampa style. It’s one of the signature dishes from the region around Bologna and it’s also what we were eating the night the idea for this compilation was born.